I'm diverging from my format for a review and a launch-day party, because Jemima Pett's new book is out today! But it's all about Willoughby, so we're sticking with a W character. Publication info: Princelings Press, 2017. 180 pages. Source: I cannot say I'm wholly unbiased; I was a proof-reader on this one :) The copy I read was an advance pre-publication proof. Just where did Willoughby, who first appeared in the Talent Seekers (book 5), learn his ninja skills? How did he come to be a Narrator? And what happened after he fell from the high tower at Castle Deeping? Discover Willoughby’s origins, his big secret, and follow his adventures as he travels around, telling stories and acting as an undercover agent for the rich and powerful, as dark deeds start causing big trouble between the rival castles. As might be expected from a Narrator, Willoughby tells his story with style and panache, starting with his somewhat surprising arrival in the Realms. Lovers of the series will enjoy this latest tale, but newcomers may find it easier to start with book 1 or book 5. 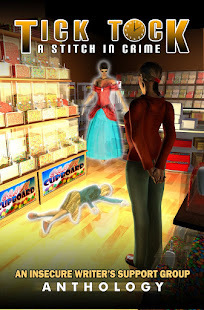 It’s a mystery adventure in a world not quite like ours, suitable for age 11 and upwards. I'll start right off by seconding the publisher's recommendation that new readers not start with this book. In fact, I'll suggest right now that you run out and get books 1-6 of the Princelings series, because things will make more sense that way. Besides, you'll get the fun of being in the know on things that Willoughby is having to figure out the hard way! Not to mention getting to read six really good, fun books. One highly enjoyable aspect of this book (besides getting the other side of stories from the other books) is Willoughby's "narrations," the stories he tells at some of the castle Narrathons (story-telling entertainments; this is a world without movies or TV). Alert readers will recognize some of the tales, but he has his own take on even the most traditional stories, well suited to the Realms and often with a little different worldview than the originals. I especially love how Willoughby rewrites "The Princess and the Pea." This book is a bigger and broader tale than the preceding books, and spans the whole time of the series to date, bringing together a lot of threads that might not seem like they are related when you are reading the other books. At times it's a bit cryptic--Willoughby has a limited perspective, and he doesn't know everything that's going on. Sometimes the reader can enjoy knowing what he doesn't, and other times we got a little frustrated with not quite being able to see the whole picture. But that works out right in the end, as much becomes clear that wasn't, and Willoughby moves into position to be (I hope) a bigger player in the final books of the series. 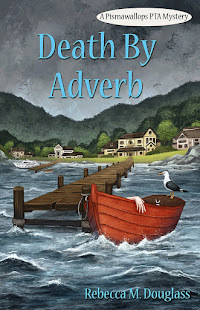 Ms. Pett's writing style is, as always, highly enjoyable and suited for both children and adults. There is no sense of her "writing down" to children, but the story is accessible and there is nothing objectionable for children from about 10 or 11 up. There is some death and a plague, as well as political intrigue, so it may not be suited to younger children, but young readers will appreciate that Willoughby enters the story as a young person trying to find his way in the world. As I said above, go buy books 1-6 if you haven't already! Read those, and then dive into the backside of many of those stories. Willoughby is striving--and doing a good job of it--to look at all sides of problems, and promoting fairness and equality in the Realms. His example is worth following! Jemima wrote her first book when she was eight years old. She was heavily into world-building, drawing maps, building railway timetables, and dreaming of being a champion show-jumper, until schoolwork got in the way and she went down the science path, writing research papers, manuals and reports, as well as editing the newsletters for her sports clubs. Forty years on she started writing stories about her guinea pigs and their adventures in a fantasy world where everything ran on strawberry juice. Eventually the Princelings of the East took shape, originally intended as a trilogy, but the characters just wouldn’t lie down. The planned ending will now be with book ten. Meanwhile, Jemima continues to enjoy the company of new guinea pigs in her home in Norfolk, UK. Only Kevin is left of the ones in the stories to date, and he runs their blog ‘George’s Guinea Pig World‘. 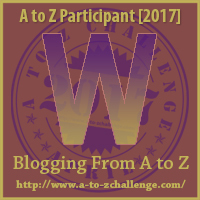 Check out their posts for the A to Z Challenge, too! Thanks, Rebecca - for everything! These do sound delightful. I love the thoroughness of your review. Thank you! I try to make my reviews thorough and helpful!